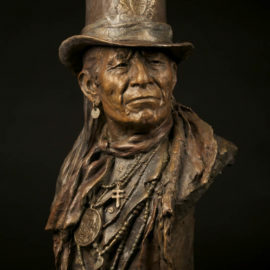 John is a member of the prestigious Cowboy Artists of America and the National Sculpture Society who most often portrays subject matter based on Native American imagery. 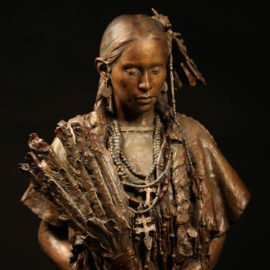 He has a distinctive style of capturing a mood and incorporating a type of symbolism into each sculpture. John has always enjoyed and has excelled in art and history. He was awarded a scholarship to the Art Center for Design in Los Angeles but then became involved in his own contracting business, which satisfied his need to create things. In his forties, he decided to immerse himself in the field of fine art and has never looked back. He starts a sculpture with an emotional feeling, doing all of his sketches in clay. At the later stage when John touches the clay with his tools, he is interacting with the material to create a feeling of life in the sculpture. He enjoys using symbolism, which has spiritual meaning in many cultures. John says his mission has to do with being a communicator more than being an artist. He has become very successful at creating the emotional vision of telling a story. Art is the focus of John’s life and it brings him great joy to produce beautiful art that will be of influence to individuals now and in the future. John has won quite a few prestigious awards and has sculpture in museums. 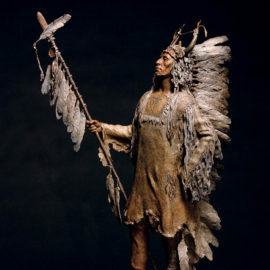 As a member of the Cowboy Artists of America and the National Sculpture Society, John Coleman is one of the leading sculptors today portraying the historical nature and mythology of western subjects. 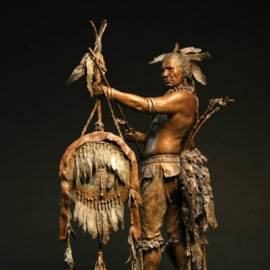 These are among the many attributes that uniquely qualifies him to sculpturally pay tribute to explorer artists Bodmer and Catlin. 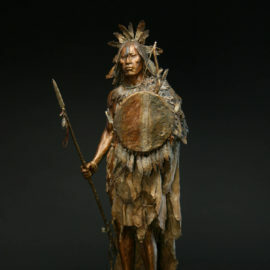 The first in the series, Addih-Hiddisch, Hidatsa Chief, was released in life-size at the Cowboy Artists of America Show at the Phoenix Art Museum. 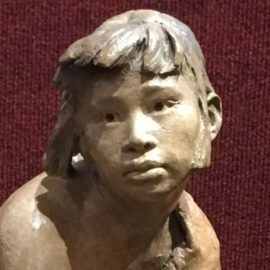 It took Best of Show, the Gold Medal in sculpture and now sits in the permanent collection of the museum, a gift of the Western Art Associates. 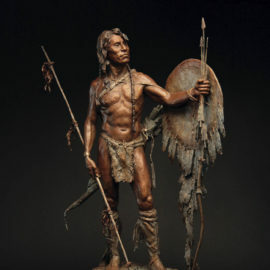 In the footsteps of Lewis and Clark, historians/painters George Catlin (1796-1872) and Karl Bodmer (1809-1893) set out to capture the images of the people of a new land. Today, these highly detailed portraits are some of the only records an artist like myself has to draw on for historical accuracy from this pre-photo era. 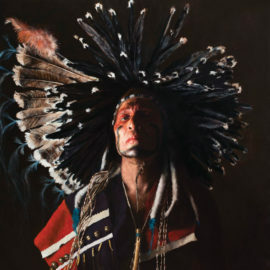 The series will include ten standing figures and document several tribes, a record of which would never have been left to us were it not for the courage and dedication of these two painters – and the artful three-dimensional interpretations of John Coleman.